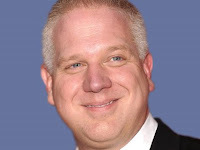 The following piece is being republished with permission of Alex Zaitchik, the author of this article and Common Nonsense: Glenn Beck and the Triumph of Ignorance. The original title is given below, and it was first published on the Southern Poverty Law Center website. If Zaitchik's description of the Mormon fringe ideas seem fictional or do not add up in your mind, bear in mind the comment addressed to The Glenn Beck Review on Glenn Beck dot com by racist, Mormon "David Griffen," aka chinarabbit, who has argued that the dissent expressed there should lead to the assassination of this blogger. With the rise of the right, the National Center for Constitutional Studies' bizarre version of U.S. history is gaining adherents. FAIRMONT, W. Va. — One fine Saturday morning last year, around 60 mostly middle-aged conservatives trickled onto the otherwise deserted campus of Fairmont State University. Clutching notebooks and coffee cups, they looked like groggy Continuing Ed students as they took seats in a modern lecture hall on the ground floor of the school's engineering building. In a sense, they were Continuing Ed students. The room had been booked months in advance for a one-day, intro-level history and civics seminar entitled, "The Making of America." But this was no ordinary summer school. Randall McNeely, the seminar's kindly, awkward, and heavy-set instructor, held no advanced degree and made no claims to being a scholar of any kind. He was, rather, a product of rote training in a religious and apocalyptic interpretation of American history that has roots in the racist right of the last century. His students for the day had learned about the class not in the Fairmont State summer catalog, but from the website of the obscure nonprofit run by fringe Mormons. Founded as the Freeman Institute in Provo, Utah, in 1971, the outfit now goes by the name National Center for Constitutional Studies (NCSS), and works out of a remote farmhouse in Malta, Idaho (population 177). This humble base of operations, however, constrains neither the outfit's national ambitions nor its missionary zeal. The NCCS has been touring the country and propagating its ultraconservative Mormon message for nearly four decades. Yet its message has never been in greater demand than in 2010. Since the rise of the Tea Party circuit, the all-volunteer NCCS has experienced exploding interest from Tea Party-affiliated groups such as the 9.12 Project and the Tea Party Patriots. On any given Saturday, several of nearly 20 "Making of America" lecturers are giving seminars across the country in spaces like the rented classroom in Fairmont, with $10 tickets and NCCS book sales paying for their travel and expenses. Along with a busier schedule, the NCCS also has a growing list of allies. In the media, it has found a powerful voice in the form of Fox News' Glenn Beck, who is a Mormon himself and has used his pulpit to advocate for NCCS books and ideas. Through Beck's sustained and energetic advocacy, once-forgotten NCCS tracts of Mormon-flavored pseudo-history such as The 5,000 Year Leap have become unlikely online bestsellers. As a result, traveling volunteer NCCS lecturers like McNeely today have no shortage of students eager to learn his version of "truth." "In our time together, we're going to learn the truth about American history and what our government is supposed to do—and not do," said McNeely, after opening the August seminar in Fairmont with a Christian prayer and a patriotic song of his own authorship. "We're going to learn sound principles. Once we have possession of these sound principles, we can solve nearly every problem in America, the way the Founders would have liked." As the morning progressed, it became clear that the NCCS worldview and program were based on three major pillars: understanding the divine guidance that has allowed the United States to thrive; rejecting the tyrannical, implicitly sinful, nature of the modern federal government; and preparing for a divine reckoning that will bring down America's government and possibly tear society as we know it asunder, thus allowing those with sound principles — i.e., godly NCCS graduates — to rebuild the republic along "sounder," more pious lines. America's return to extremely limited government, as they think God intended, is destined to happen, NCCS lecturers teach, because God has already shown an interventionist role in American history. According to the NCCS, the founding of the United States was nothing short of a "miracle" in the literal sense of the word. God is watching, in other words, and he is not happy. Teaching out of the seminar's 131-page illustrated workbook, McNeely argued that the current federal government is guilty of a "usurpation of power." It is, therefore, illegitimate, though McNeely never actually uttered that word. Governmental powers should be used sparingly, he explained, limited largely to the common defense and the elimination of "debauchery and vice." In some ways, the NCCS worldview can sound remarkably similar to that of antigovernment "Patriots," whose movement has exploded in the last two years. So it's not much of a surprise that it has found a number of new organizational allies among "Constitutionalist" groups such as the conspiracy-obsessed John Birch Society, the ultraconservative "pro-family" group Eagle Forum, and the Oath Keepers, a group of ex-police and military personnel who publicly promise to resist orders if they find those orders at odds with their understanding of the Constitution. At the 2010 National Liberty Unity Summit, a powwow of far-right groups, NCCS president Earl Taylor delivered the keynote address following speeches by leading Oath Keepers Richard Mack and Guy Cunningham. But mostly, the NCCS focuses on its seminars. And business has never been better. "We're trying to flood the nation," NCCS president Taylor told The Washington Post in June. "And it's happening." Second verse, same as the first: Fox News conspiracy theorist Glenn Beck draws many of his more bizarre ideas from the late W. Cleon Skousen, a rabid anti-communist who wrote of evil cabals of internationalist bankers and government officials. Students of the American far right may not recognize the anodyne-sounding NCCS, but they no doubt know the name of its founder, the late W. Cleon Skousen. By the time Skousen founded The Freeman Institute in 1971 (the name was changed to NCCS in 1984), the bespectacled former police chief had become a minor legend in the annals of right-wing radicalism. Throughout the late 1950s and 60s, following 11 years of mostly administrative work in the FBI, Skousen toured the country whipping up anti-communist (and anti-civil rights) hysteria under the banner of the John Birch Society. Among the stories in Skousen's fantastical arsenal was the claim that New Dealer Harry Hopkins gave the Soviets "50 suitcases" worth of information on the Manhattan Project and nearly half of the nation's supply of enriched uranium. When the John Birch Society came under attack for its founder's claim that Dwight Eisenhower was a communist agent, Skousen wrote a pamphlet titled The Communist Attack on the John Birch Society. In the 1970s, he penned an influential tract of New World Order conspiracism, The Naked Capitalist, which described a cabal of scheming, internationalist-minded bankers and government officials set on destroying the Constitution by manipulating left and liberal groups around the world. The purpose of liberal internationalist groups such as the Council on Foreign Relations, Skousen believed, is to push "U.S. foreign policy toward the establishment of a world-wide collectivist society." Among the sources Skousen cited to substantiate this claim was is a former czarist army officer named Arsene de Goulevitch, whose own sources included Boris Brasol, a White Russian émigré who provided Henry Ford with the first English translation of the Jew-bashing classic, Protocols of the Elders of Zion, and later became a supporter of Nazi Germany. The controversy that surrounded Skousen's growing public profile in the 1960s and early 70s caused a debate within the Mormon Church leadership. For many church leaders, Skousen was bringing unwanted attention to the institution, which until then had generally eschewed involvement in politics. But Skousen also had allies in high places. The strongest and most loyal of them was Ezra Taft Benson, a Mormon Apostle and future church president. Benson was also an advocate for Bircher-style conspiracy theories. Throughout the 1960s and 1970s, he saw the hand of communism in every social welfare policy and fought them as both immoral and unconstitutional. A rabid foe of the civil rights movement, Benson in 1971 allowed one of his anti-civil rights talks to be reprinted as the introduction to a book of race hate called Black Hammer: A Study of Black Power, Red Influence, and White Alternatives. The book's cover featured the severed, bloody head of an African American. By the end of the decade, his politics had taken a similar turn to that of his friend Skousen. During a 1972 general conference of the Church of Latter-day Saints, Benson recommended all Mormons read Gary Allen's New World Order tract None Dare Call it A Conspiracy. Mormon leader Ezra Taft Benson, a close ally of W. Cleon Skousen, had powerful acquaintances who included President Dwight D. Eisenhower. Benson rabidly opposed the civil rights movement and once allowed an essay of his to be printed as an introduction to a particularly vicious and racist book. Such was the state of Skousen and Benson's politics (and intellectual seriousness) when they celebrated the opening of the Freeman Institute on July 4, 1971, in a converted storefront judo studio just off the Brigham Young University campus in Provo, Utah. The purpose of the Freemen Institute, said its literature, was to "inspire Americans to return to the Founders' original success formula." Skousen's new institute, then as now, was not greeted by universal acclaim among his fellow Mormons. Edwin Brown Firmage, a professor of law at the University of Utah, complained to the Mormon magazine Sunstone in 1981: "Skousen is teaching right-wing fundamentalism with a constitutional veneer. How anyone can prove that civil rights and welfare are unconstitutional is beyond me. For his people, ‘Constitutional' is just a right-wing buzzword." A reporter from the Philadelphia Inquirer, Larry Eichel, reached the same conclusion after attending one of Skousen's lectures in the birthplace of the Constitution. "He preached a political return to the eighteenth century," wrote a dismayed Eichel. The reporter was off by a century, but his point was well taken. What the Mormon constitutionalism pioneered by Skousen pines after most is the federal government of the mid-nineteenth century. If the NCCS could stop the clock anywhere, it would be 1867, the year before the passage of the Fourteenth Amendment. Like today's Tenther movement, whose adherents cite the Tenth Amendment to advocate the sovereignty of the states over federal government power, Skousen argued that constitutional decline began when the federal government overrode the states to grant and enforce equality under the law. Skousen first laid out his views on the Constitution in 1981, with the publication of The 5,000 Year Leap. Now the central text of Glenn Beck's 9.12 Project — the Fox host calls the book "divinely inspired" — Leap is an illustrated recipe for turning the United States into 50 little theocracies, each dictating morality according to its own religious ethics. These ethics, argues Skousen in Leap, should be transmitted through "extensive Bible reading" in public schools. The project of the book is clear, even if its author never came right out and said it. Others would prove bolder in explaining the importance of Leap. In Ronald Mann's introduction to Leap's 10th-anniversary edition, he praises Skousen for grasping America's choice of "Christ or chaos" and for acknowledging that its future depends on "accepting and demonstrating God's government." America into 50 mini-theocracies, "divinely inspired." The project started by Leap was furthered a few years later with the publication of The Miracle of America. After reducing its contents to a smaller workbook suitable for one- and seven-day seminars, Skousen again hit the road. During the first "Making of America" tour, he demonized the federal regulatory agencies, arguing for the abolition of everything from the Occupational Safety and Health Administration to the Environmental Protection Agency. He wanted to repeal the minimum wage, smash unions, nullify anti-discrimination laws, sell off public lands and national parks, end the direct election of senators, kill the income tax and the estate tax, knock down state-level walls separating church and state, and, of course, raze the Federal Reserve System. Skousen's rolling theocratic lecture tour ran into problems in 1987, when outsiders started examining the contents of the book on which the seminars were based. The Making of America, it turned out, presented a history of slavery that could have been written by a propagandist for the Ku Klux Klan. Skousen relied for his interpretation of slavery on historian Fred Albert Shannon's Economic History of the People of the United States (1934). Quoting Shannon, Skousen described African-American children as "pickaninnies" and described American slave owners as the "worst victims" of the slavery system. He further explained that "[slave] gangs in transit were usually a cheerful lot, though the presence of a number of the more vicious type sometimes made it necessary for them all to go in chains." Shannon and Skousen also cast a skeptical eye on accounts of cruelty by slave masters and expressed much more interest in the "fear" Southern whites had while trying to protect "white civilization" from slave revolts. Newer editions of The Making of America lack the glaring racism of Skousen's original version. But the current NCCS president, Earl Taylor, is not unknown to echo some of Skousen's controversial views. At a Mesa, Ariz., seminar earlier this year, a Washington Post reporter heard Taylor argue that Thomas Jefferson hesitated to free his own slaves because of his "benevolence." As Taylor often does, he defended this interpretation by referencing his participation in a walking tour. "If you've been to Monticello and you see how Jefferson cared for them, they didn't want to leave," the Post writer quotes Taylor as saying. Defenders of the NCCS argue that the outfit, run by the grandfatherly Taylor, is merely teaching good old-fashioned civics to interested Americans. But while there is a large amount of straight, accurate history included in "Making of America" seminars, the lessons are about much more than just the Constitution. The organization's larger mission is to crudely propagandize against America's secular foundations and sow doubt over the legitimacy of the modern welfare and regulatory state, using a textbook written by a notorious conspiracist who adhered to apocalyptic folklore. And like Skousen, current NCCS lecturers believe that time is quickly running out. There is a dark, often unspoken, subtext to the NCCS's crusade to promote the "sound principles" of proper Constitutional government. That subtext is a belief in the imminent collapse of civilization. This collapse is interwoven in the bombastic teachings of NCCS friend and ally Glenn Beck, whose Doomsday-drenched shows are profitably promoted by fear-mongering purveyors of everything from gold bullion to "crisis gardens" and emergency radios. The NCCS has done much to encourage and spread a deeply apocalyptic worldview among far-right Mormons, of whom Beck is only the most famous. The NCCS views its education crusade as crucial for rebuilding America after a coming cataclysm; thus, "The Making of America" is best seen as a God-centric civics class for the bomb shelter. Speaking last year in Mesa, Ariz., Taylor spoke cryptically of the need for "the Good Lord's help" to take America "into a much better phase of existence lasting for a thousand years." Taylor's remarks only make sense in the context of a cleansing, holy wrath, after which will emerge pure Constitutional defenders ready to build a new society on the ashes of the old. "I fear that the United States is going to have to go through the wringer," said Taylor. "It's gonna be rough." "When the time comes, when the people who are in power for the power and the glory, and there is no more power and glory left, they'll probably be looking around asking, ‘Can anybody help?' And you'll say, ‘Yeah, I've got some ideas. Come on over and eat a little something.' Because there probably won't be much food anyway, but if you're wise, you'll have some." At this depressing image of future Constitutional scholars discussing the evils of the income tax and battling "debauchery" amid the scarred ruins of a post-Apocalyptic America, Taylor brightens up. "We're gonna win this thing," he said. "I've read the last chapter, like you have, and in the end, we're gonna win this thing." The most ironic (read: “hypocritical”) thing about the Southern Poverty Law Center is that NOT ONE of its top ten, highest paid executives is a minority. In fact, according to the SPLC’s hometown newspaper, the Montgomery Advertiser, despite being located LITERALLY in the back yard of Dr. Martin Luther King’s home church, the SPLC has NEVER hired a person of color to a highly paid position of power in its entire 40 year history. rkeefe57, thanks, I mean really a giant thank you, for completely missing the point of this essay by Alex Zaitchik. That is so big of you to point out that the SPLC is not run by the people you think should be running it and ignore the many dangers to American society, including the false "civics" lessons outlined above, that they point to. If you're such an expert on hypocrisy, then I imagine that you understand Glenn Beck to be America's hypocrite-in-chief since Beck demonstrates far more hypocrisy than any pol who know that they have to get re-elected and can't get away with the repeated demonstration of pooping on their own expressed principles the way Beck has AT LEAST 19 times now in the last 10 months. Am I right about your righteousness regarding hypocrisy, or are you a hypocrite about hypocrisy?